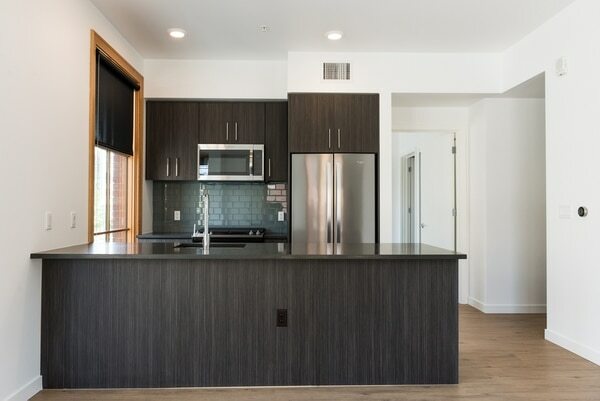 New construction has sent a flood of new apartments onto the market. A month's free rent has become standard. 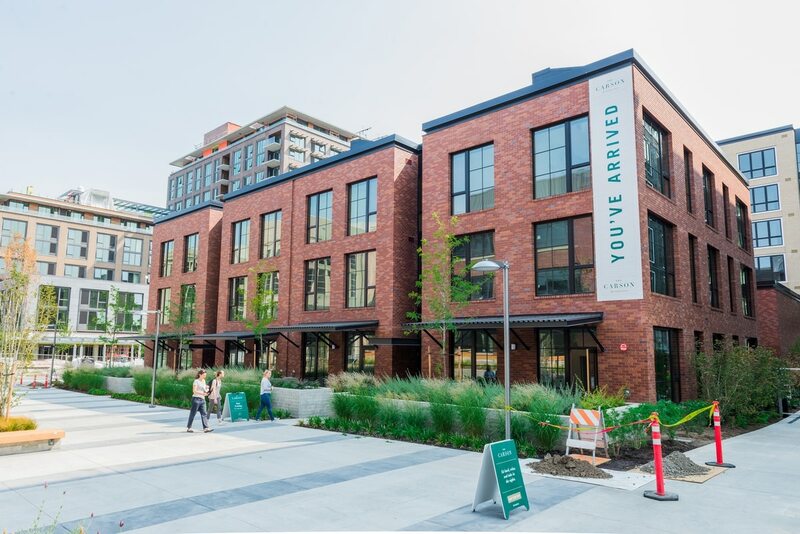 Renters who can afford an apartment in one of the new luxury towers sprouting up across Portland are now being offered cash incentives to move in. Take the Emery, a seven-story building along the South Waterfront. It has nine apartments available within the next two months, starting with a $1,356-a-month one-bedroom. There's air conditioning, a shared bike if you don't have one, a bike room if you do, a pet washing station, and a clubhouse for parties. And there's a bonus for some units: a $1,000 gift card from Amazon to encourage prospective renters to sign a lease. That's just the start. 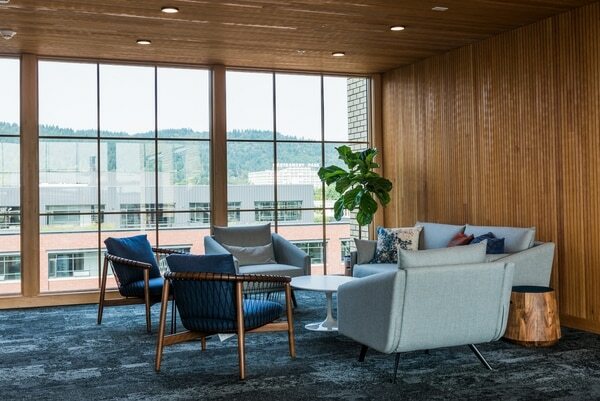 As of last month, at least 33 high-end buildings in the central city and South Waterfront have more than 700 apartments sitting vacant or available for rent within the next two months, according to numbers WW found via publicly available listings and on a private management company spreadsheet. So landlords in those buildings are advertising concessions: free rent for as long as eight weeks, along with other perks like gift cards, free parking and a yearlong free membership at a nearby health club. 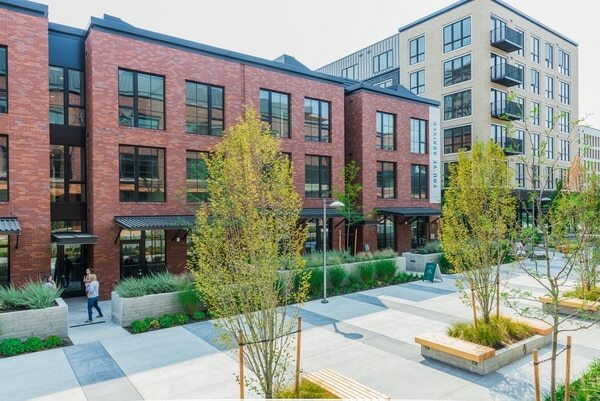 Even Burnside 26—the building that captured Portland's imagination in 2015 as a symbol of invading yuppies driving out artists—is now offering six weeks free rent. The deals represent a 180-degree change for a Portland housing market that's seen relentlessly rising rents and vacancy rates lower than 3 percent. New construction has sent a flood of new luxury apartments onto the market—by December, it'll be 12,000 units over two years—and they're arriving at a faster clip than landlords can fill them. "It's a sign that the market is weakening," says Portland economist Joe Cortright. "The last thing that apartment owners want to discount is the rent on a building. 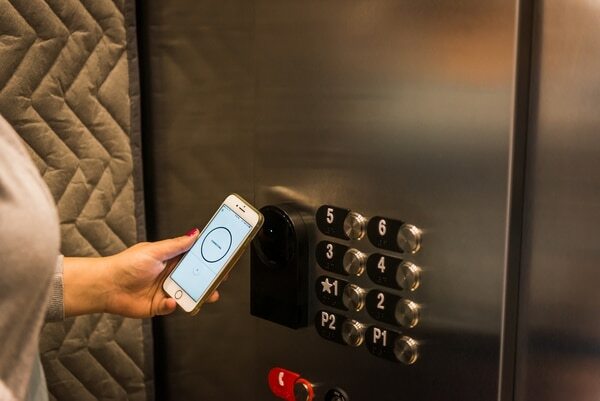 One-time offers—gift cards, free parking, waived deposits or other fees—it's an indication they're scrambling to fill apartments. It tends to predict that rents should ease further." Related: Sick of Portland changing? Too bad. Here are 7 places where the city could soon go big. The discounts offered to prospective tenants who can already afford high-end apartments are a demonstration of the benefits of new housing supply—and its limits. The glut of new apartments has corresponded with lower rent increases at all levels of the market. But the added supply doesn't benefit everyone equally: The demand for workforce and affordable housing still outstrips supply. "Those who can least afford rent increases, they're still seeing rent increases," says Mike Wilkerson of economic policy consulting group ECONorthwest. "Everyone benefits, but it's still regressive." The Carson, a 385-unit tower in the Slabtown neighborhood of Northwest Portland, is in many ways typical. (In others, it's not: See this story.) Renters are being offered six weeks free. 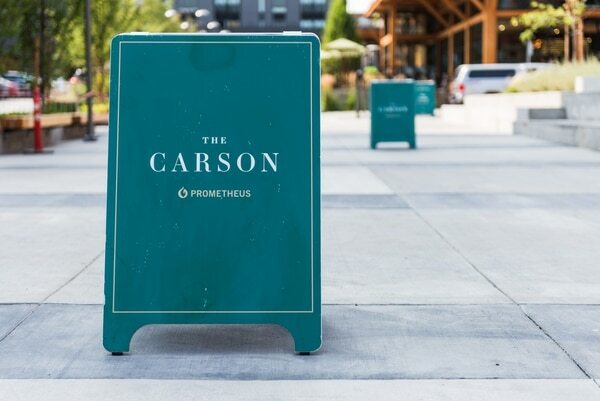 "Typical in the market right now is a month free—some units a little bit more, a little bit less," says Tom DiChiara, a developer with Cairn Pacific, which just opened the Carson. "It's a return to a bit more of a renter's market." But the glut of new buildings is having a larger effect. After years of rent hikes, last month brought news that the average rent in Portland had fallen. From June 2016 through June 2017, average rent for one-bedroom apartments dropped 3 percent, according to data from ApartmentList.com. Data from real estate company CBRE show rents fell 3.1 percent during the last quarter of 2017 alone. That's the largest drop in a single quarter since the early 2000s. "The market works, but with a lag," writes Cortright. "After lagging well behind demand in the early post-recession years, housing supply has finally caught up, with the predictable effect that rents have flattened out and now clearly started to decline." But not at the lower end of the market. Data from ECONorthwest show that in buildings where rent was more than $2,000, rent was down 2.4 percent from June 2017 to June 2018. But in buildings with rents below $1,000, rents went up 2.3 percent. But ECONorthwest's data show something more: The situation would be even worse without new housing supply at the top end. Rents in buildings at both ends of the economic spectrum climbed faster before the wave of new construction than they did after the new apartments started coming onto the market. Competition for a reasonably priced apartment in this city can still be intense. Milea Butler, 23, a nursing assistant about to start nursing school, started looking in May for a two-bedroom apartment below $1,600 a month. "Two bedrooms were really hard to find within our price range," says Butler. She looked at 10 apartments. Each time, there were renter applications, sometimes as many as five, already ahead of hers. She and her roommate didn't have the extra money to pay the fee for an application that wasn't likely to work out. Her search via HotPads—an easy-to-use app with the best info, she says—finally proved fruitful. A South Tabor apartment, in an old fourplex with relatively recent updates, came up listed for $1,500 a month. "The pictures weren't impressive," she says. "It was pretty small and right at the top of our price range." They snapped it up anyway—after realizing it was the only place they actually had a chance to get. To make matters worse, there's some evidence Portland rents will decline no further. 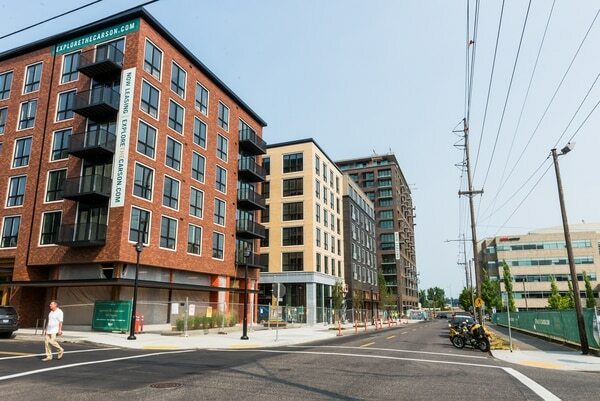 Developers are backing away from housing projects in Portland right now, because banks have clamped down on financing and construction costs are up. A high-profile project slated for the Lloyd Cinemas site was put up for sale this year—the developer is walking away. Another large housing complex in the Lloyd District has delayed breaking ground. In Northwest, Cairn Pacific's DiChiara is likely to break ground next month on a new building. But he is the developer for two more properties in Slabtown whose timelines will depend on the market. He'll be waiting to make sure rents don't fall further and even start to climb. 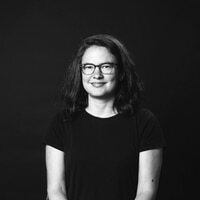 Lisa Bates, an associate professor of urban studies and planning at Portland State University, says backers of more development use "magic Econ 101" talk to oversimplify the benefits of housing supply to reduce rents. "One of the problems I have right now with people crowing about how rents are falling," Bates says, is that "Econ 101 also tells us that when prices are falling in the market because of an expansion in supply, suppliers will stop bringing that product to the market until the price comes up." Multifamily NW, a rental housing association, reports the vacancy rate at the end of June had actually shrunk in the Portland metro area. That vacancy rate is 5.7 percent, according to commercial real estate information company CoStar, down from 6.2 percent in 2017. ECONorthwest's Wilkerson says if Portland wants to see housing supply benefit even more people, the city could push for smaller-scale development in single-family neighborhoods. "The key thing," he says, "is allowing different types of development than you would see in a boom cycle."